Gary Hollander is no stranger to the Corvette community he has been involved with America's only true sports car for over 50 years now. Gary has owned eighteen Corvettes over that time period, that in itself qualifies him as a genuine Corvette enthusiast and our "Corvette Nut" of the month. 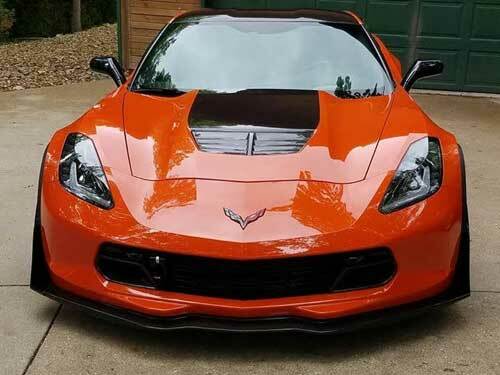 Gary's latest toy is a stunning 2019 Sebring orange Z06 Coupe. He ordered it on 12/4/2017, it was built on 1/29/2018, and finally delivered on 2/16/2018. Being an early bird enabled Gary to pick up one of the first production line 2019 "Z's" with vin #000008. The Z's Sebring orange paint is an extreme attention getter, GM's new paint process is really paying off. 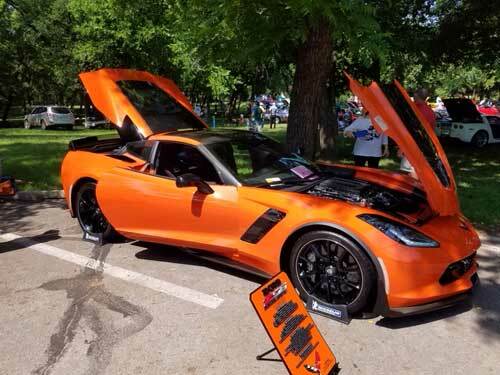 The car is equipped with the Z07 Ultimate Performance Package. To make the Z more usable on the street Gary replaced the Michelin Pilot Cup II tires with a set of tamer Michelin Pilot Super Sport run flats. 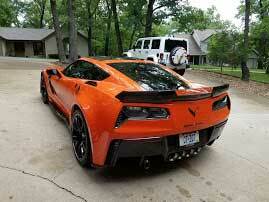 A recent survey by GM indicates that very few Z07 package equipped Z's ever see track duty. 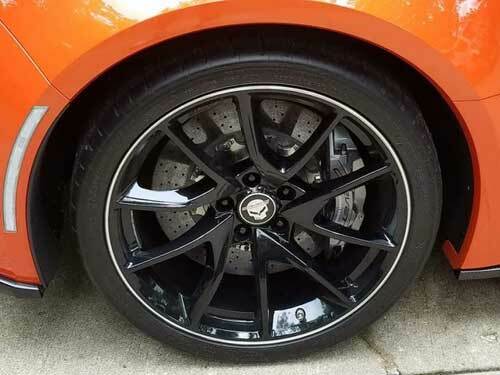 That Z07 logo does however give Corvette owners the all important bragging rights in the Corvette world. The "Z's" jet black 3LZ interior is complimented with competition seating and a very slick looking carbon fiber dash. The Z07 exterior package really tricks out the look of the car. Stage III front wiglets, front splitter, side rails, exposed hood insert and roof panel are all set in very exotic looking carbon fiber. Gary carried the carbon fiber look well beyond the factory parameters. He added a carbon Nowicki Auto Sports Hood vent, carbon front brake ducts, A-pillars, rear tail light bezels and rear wickers. 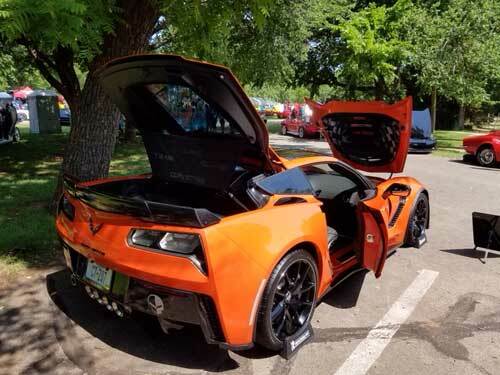 The car draws attention wherever it goes and has already won five 1st Place/ Best of Class Awards and two Best of Show Awards, most recently at the Route 66 Corvette Round-up.